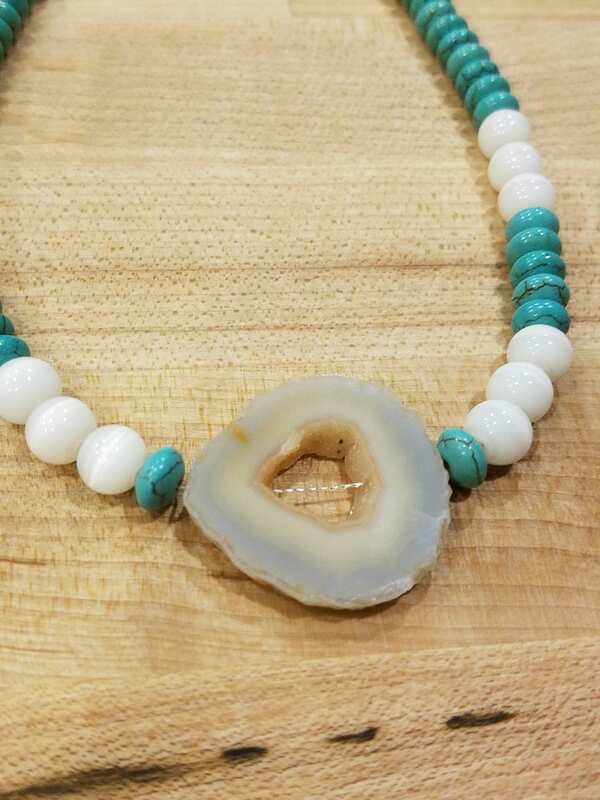 Geode, howlite, cats eye, and Sterling Silver necklace! It is 18 long . 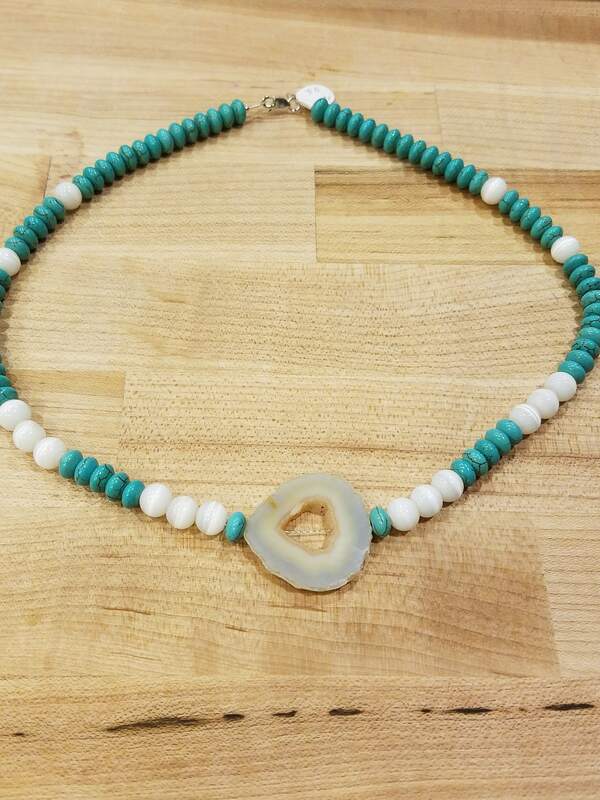 Geode, howlite, cats eye, and Sterling Silver necklace! It is 18" long . 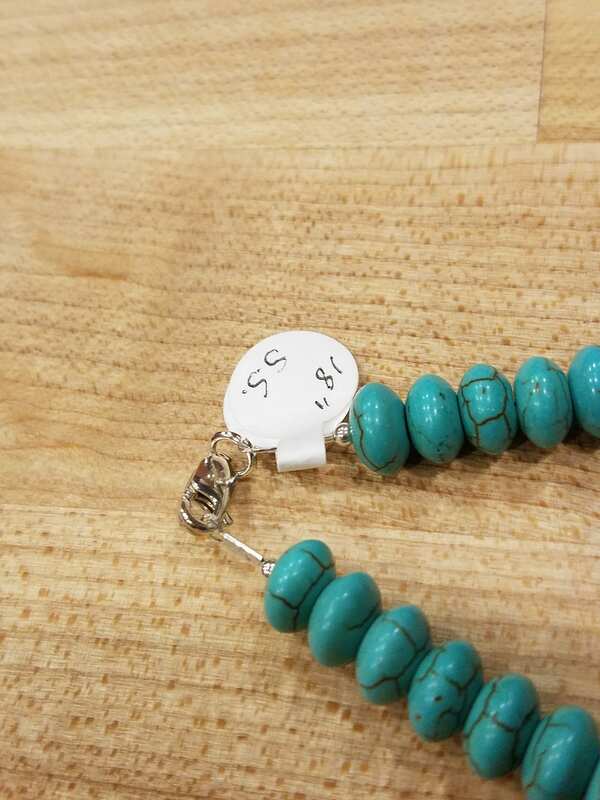 This necklace is 18" long. It's has a Sterling Silver clasp. 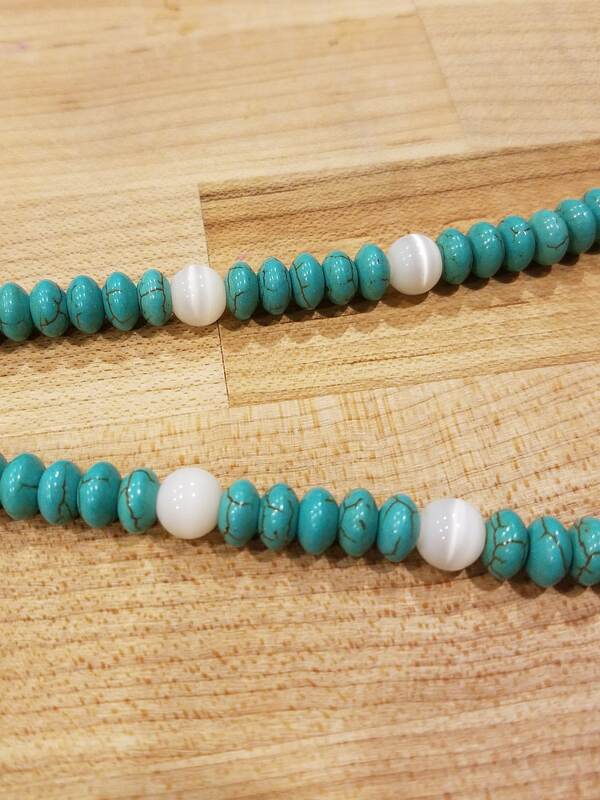 The blue beads are howlite. 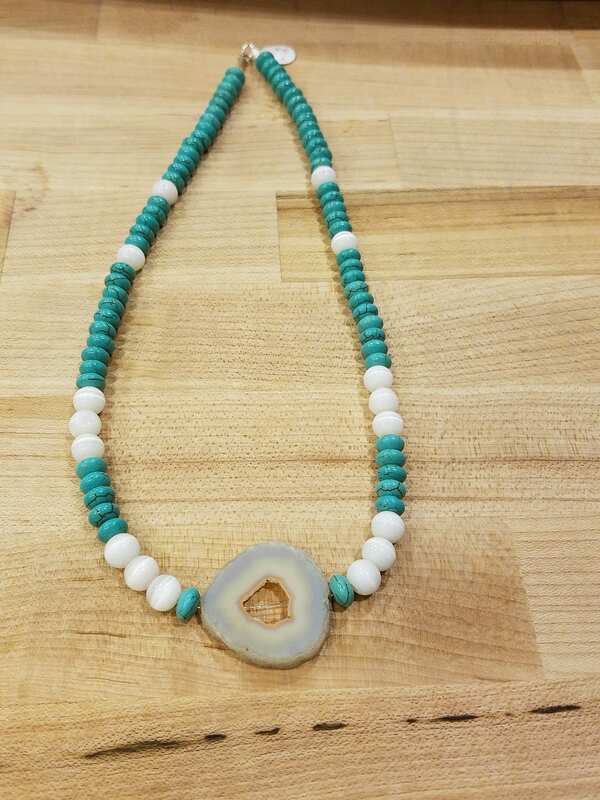 The white beads are cats eye . Then the center is a geode . It's a simple necklace , yet so pretty! You will love it !